Recurrent varicose veins after previous stripping surgery is common and occur in as many as 20% of patients. Why do varicose veins come back? Neo-vascularisation - this term describes the growth of new blood vessels between the deep veins and remnants of the old varicose veins. It is suggested that this process occurs due to the traumatic nature of stripping surgery. Various sites of origination - some patients have more than one site where the veins actually start. Surgery might have only addressed one of these sites. New veins, due to more failing valves - Varicose vein disease is progressive in nature and more valves might fail in time, and this would require treatment. How common are recurrent varicose veins? Graduated compression support stockings are a great way to support healthy leg veins The support stockings we offer at VenusCentre Vein Clinic can be used to: Prevent the development of deep vein thrombosis (DVT) during long distance flights Support venous function and reduce the likelihood of developing varicose veins during pregnancy Alleviate symptoms associated with venous disorders Support the success of sclerotherapy treatment Support stockings apply external pressure to the leg and are designed to assist the return of blood flow upwards to the heart These stockings are designed to give the greatest support at the ankle, and gradually decrease in pressure all the way up to the thigh. This gives better support than traditional bandages, and recent innovations in design and materials means that these stockings are comfortable enough to wear every day. At VenusCentre Vein Clinic we provide the highest quality compression stockings available Our range of graduated compression stockings are supplied from Venosan, a leading provider of contemporary compression stockings. The types of stockings we provide include: Class 1 Compression Stockings – these are a great choice for tired, heavy aching legs, varicosities without significant oedema and for varicose veins during pregnancy. Class 2 Compression Stockings – these are utilised to relieve more severe discomfort, support pronounced varicose veins with oedema, help heal ulcers, treat superficial thrombophlebitis, increase the effectiveness of sclerotherapy treatment and to support severe varicose veins during pregnancy. At VenusCentre Vein Clinic we stock a wide range of colours and sizes to ensure that you receive the perfect fit. These stockings can be machine washed (a laundry bag is recommended) in lukewarm water, but do not tumble dry, bleach, dry clean or iron your stockings. Private Health Fund Extras members may receive a rebate on these stockings. To discover more about the support stockings we offer at VenusCentre Vein Clinic, or to arrange a consultation please contact us. How are recurrent varicose veins treated? Treatment of recurrent varicose veins should only be undertaken by a specialist in the field of vein surgery. 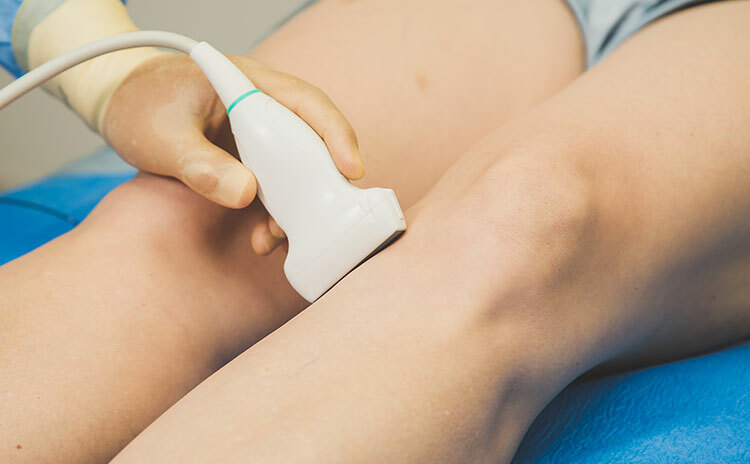 These patients require a complete and thorough assessment and examination of their legs with a duplex doppler. An exact map is then created, outlining all the areas that require treatment. An individualised treatment plan is then drawn up and discussed with the patient. 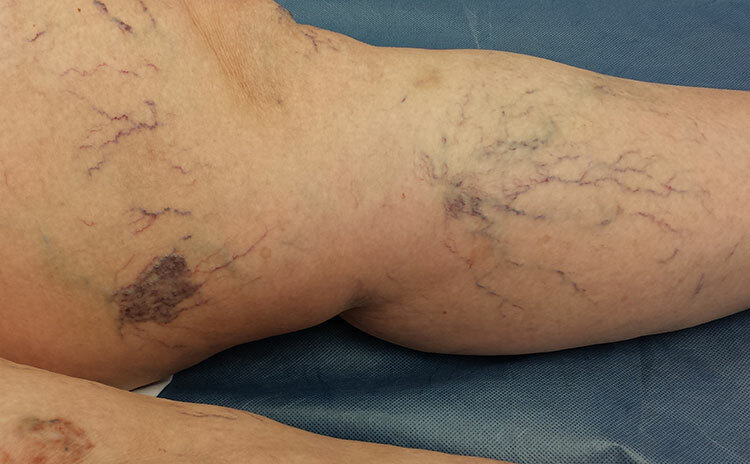 Successful treatment of recurrent varicose veins demands patience and skill to achieve the best possible outcome. Treatment is usually done combining different techniques like radio frequency ablation and foam sclerotherapy with liquid sclerotherapy.